As a young child, I was afraid of the dark, especially when it was bedtime. Although my mother placed a small nightlight in my bedroom, the bulb’s dim output did nothing to allay my fears. Before I finally drifted off to sleep, I would imagine someone or something hiding in the shadowy recesses of the room I shared with my younger sister. My fears were so palpable on some nights, I would awaken my mother to bring me a glass of water under the pretense of being thirsty. On other nights, I would beg my sister to let me crawl into her twin size bed to sleep. Eventually, I outgrew my fear of the dark. However, I’m still baffled by the overwhelming angst robbing me of sleep on many of those childhood nights. Humankind’s most common fears, according to various studies, include the following: fear of being socially unacceptable; a fear of heights; a fear of bugs, snakes or spiders; a fear of closed spaces; a fear of flying; a fear of the dark (or what might be hiding in the shadows); fear of getting a disease; fear of blood; fear of violent weather and a fear of dying. In Matthew 8:23-26, we read about the frightened disciples during a perilous storm on the Sea of Galilee. Jesus was at their side, but they let their circumstances dictate their fear. While Jesus slept peacefully in the boat, a storm tossed the wooden craft in the rough waters. Only after this rebuke did Jesus calm the wind and waves. How often do we want God to fix our problems immediately? We expect instant relief from the raging waters. Yet, it’s in the midst of trials that God wants to deepen our faith, trusting Him and growing in Him before He intervenes. No matter how dark our circumstances appear, God wants us to follow in faith. 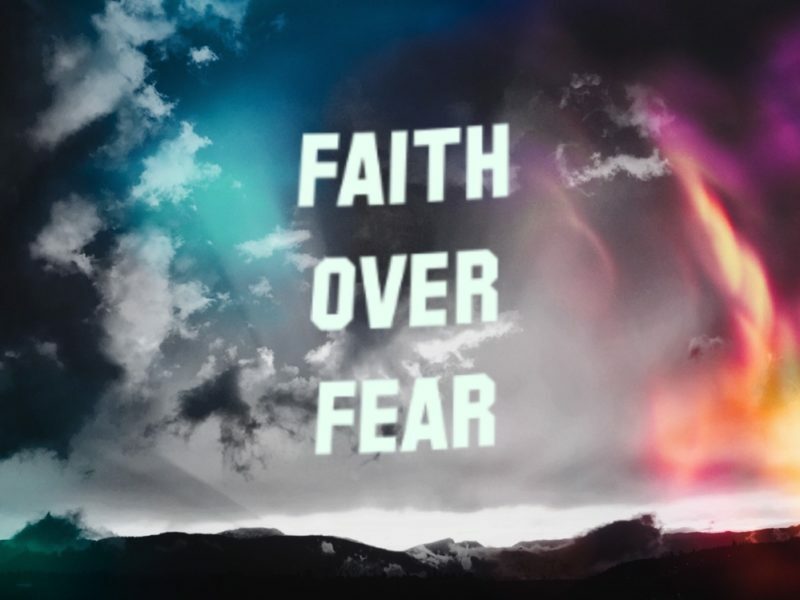 When we choose to walk closely with and trust God daily, our faith will overcome our fears.